KOH LANTA, THAILAND: It is only after the buzz of the boat engine is replaced by the lapping of the lagoon water along the sides of the dive boat that the majesty of Koh Haa finally starts to sink in. The presence of whale sharks may have become less common in many of Thailand’s established dive spots in recent years due to human impact and commercial fishing, but for those lucky — or persistent — enough, an encounter with the world’s largest, and tragically endangered, fish is becoming more likely around Koh Haa, where sightings over the last few years have been a mostly monthly occurrence. Manta rays are also occasional visitors to the island’s stunning reefscapes throughout most of the high season, which runs from mid-October to mid-May. November is considered one of the best times to visit, as the islands reopen to the public after the annual six-month conservation period. 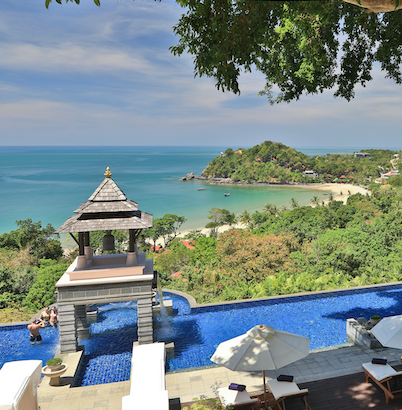 Located on Kantiang Bay, arguably one of Thailand’s most admired beach, Koh Lanta’s first five-star resort remains the place to be on the island. Since it opened its doors more than a decade ago on a 100-acre piece of land, the 121-room property has become a regular haunt for A-listers after a low-key hangout and repeat guests from all over the globe returning for their annual Pimalai pilgrimage. Accommodation ranges from secluded pool villas hidden away in the hillside forest to beachfront suites situated only a few bare footsteps from the ocean. The onsite amenities, including the gym, dance studio and spa, are suitably five star — as is the food as the three signature restaurants — and in addition to the excursions organised by Scubafish the resort also runs its own exclusive cruises to Koh Haa.